On March 5, Moishe Perl, owner of Moishe's Bake Shop at 115 Second Ave., announced to storefront photographers James and Karla Murray that the building near Seventh Street had been sold and he was closing the business and retiring after 40-plus years. 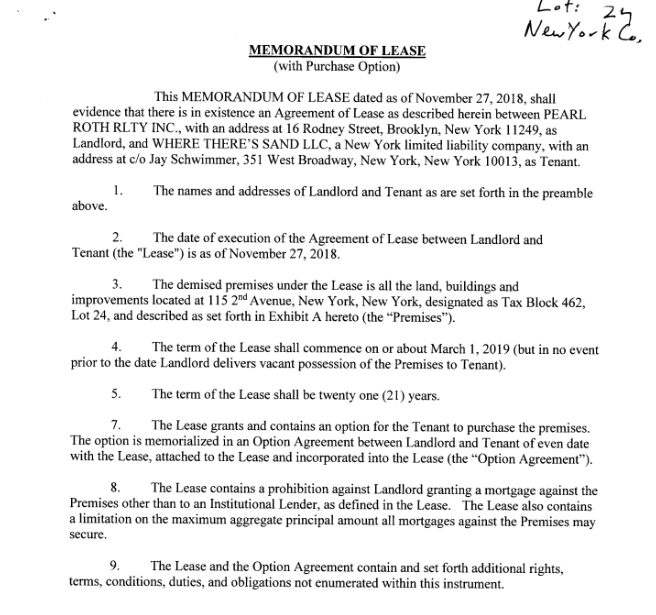 Some background: In December, investor Jay Schwimmer picked up a 21-year lease for the entire three-story building with the option to buy it from Perl, who has been the owner since the mid-1970s, per The Real Deal. 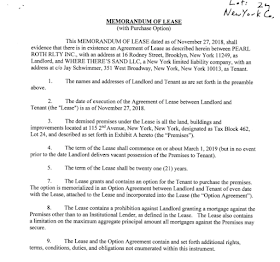 There's nothing in public records indicating a sale — just a memorandum of lease. Perl and bakery employees had previously denied that the shop was closing. As the day progressed, the narrative of the closing story continued to evolve. The owner of a local restaurant shared this with me: "We use Moishe’s rye and pumpernickel ... and as far as he has told us, he is still going to continue on in that space after remodeling. It sounds like it’s going to be more of a cafe but still offer their products. He’s still actively delivering wholesale to us. He made a delivery last night." Later, amNY reported the following: "Owner Moishe Perl confirmed ... that the store was closed, but didn't give further details about his decision or its future." 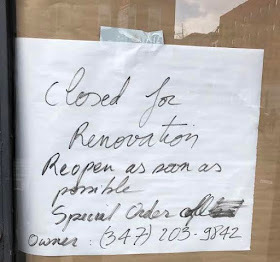 By the evening, Patch reported that Perl was searching for new management "to re-open the spot as a cafe and bakery as soon as the end of April after Passover or early May, depending how the renovations play out." Paper remains in the windows at Moishe's, though the closed-for-renovation sign is gone. A worker at the scene on Monday told an EVG reader that they were closed for renovations, but would return. Yesterday, Gothamist delved into the mystery in a post titled "What's Going On With Moishe's Bake Shop?" 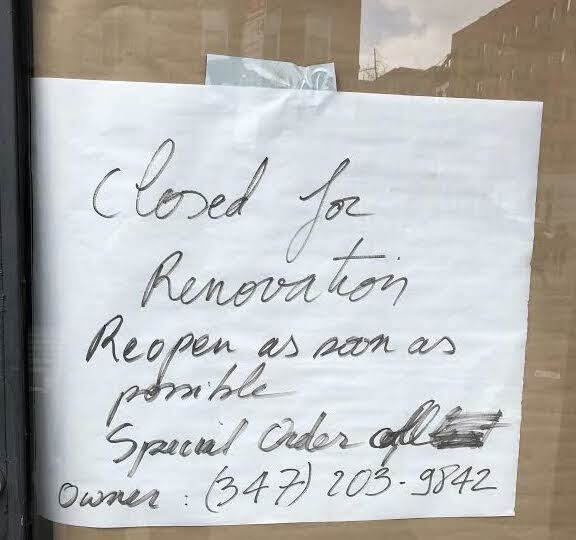 Reached over the phone Wednesday morning, Moishe Perl confirmed to Gothamist that the shop wasn't permanently closed. 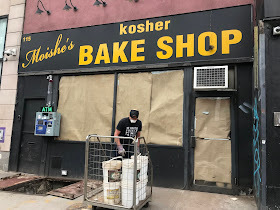 They're still baking (albeit in Brooklyn) while renovating the Second Avenue location. He wouldn't say how long the renovations were going on for, but he did say that phone orders could be fulfilled for now. "Whatever you want, you just call me one day before," he says. Perl promised that he'd have an update soon. But will you believe him? Who knew that Moishe;s would one day have a storyline worthy of a reality TV show? Why fire everyone with no notoce if its going to reopen agan? Meanwhile, I’m heading over to Breads bakery for my Purim supplies. Hamantaschen here I come! I have information that a French bakery is opening in this space in the Summer.